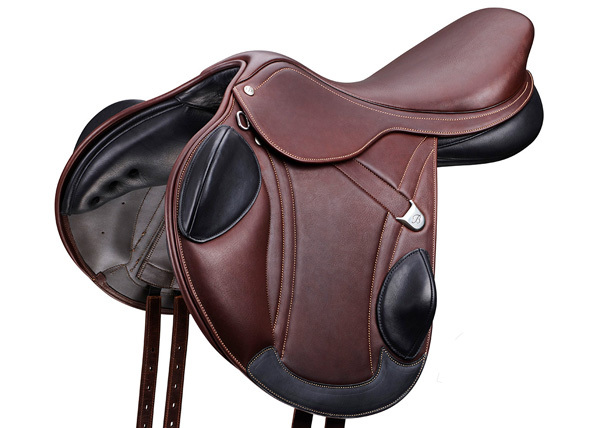 The Bates Advanta eventing saddle is engineered for perfect connection between you and your horse. 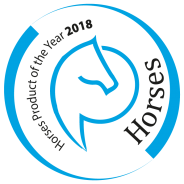 With an ultra-sensitive feel of your horse and effortless balance, together you are poised for take-off and prepared for the unexpected. Sharpen your reflexes and push your boundaries in the new competitive advantage. 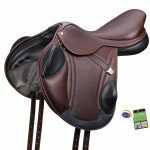 Features include Adjustable Ergonomic Stirrup Bar, EASY-CHANGE Fit Solution, wither freedom design, forward cut mono flap, close-contact SynergyPanel, streamlined girth points, SweetSpot, CAIR® Cushion System, recessed stirrup channel, moveable FlexiContourbloc and grippy reinforcement.